Admission $15. Phone 575-257-2273 for info & advance seating. Join Bill for an outdoor Easter afternoon house concert hosted by Chris & Mark Sanders. Suggested donation $20. Phone 575-571-5298 or email chrisclarksanders@gmail.com for reservations. BYO lawn chairs and hats. Seating is limited. Phone 505-980-1865 or email kagilman@gmail.com for info. $20 suggested donation. Address given after making reservation. New Mexico Banjo Camp with Alan Munde, Ned Luberecki & Riley Baugus - we are filling up fast! Join me at my new banjo camp located in the Gila National Forest in New Mexico with Alan Munde, Ned Luberecki and Riley Baugus. Small classes, great food and lodging and an open schedule allowing for one-on-one interaction and follow-up time! Camp is filling up fast - register now to insure your spot! Bluegrass Jam Class: Beyond the Basics, Level 2. Registration is now open for Bill's final class session! This new Level 2 section of my Bluegrass Jam Class is now available on Monday nights. $130 early bird registration discount through 4/30. Bluegrass Jam Class: Beyond the Basics, Level 1. Registration is now open for Bill's final class session! Level 1 is designed for all bluegrass instrumentalists and singers who are new to playing with others in jams and bands. Ideal for high beginner to intermediate players. $130 Early Bird registration discount ends 4/30. Bluegrass Jam Class: Beyond The Basics, Level 2. Registration is now open for Bill's final class session. This class is designed for those with some experience playing with others who want to take their jamming skills to the next level. All instrumentalists welcome. $130 early bird registration discount through 4/25\30. Bill returns to Banjo Camp North! With Tom Adams, Janet Beazley, Adam Hurt, Gabe Hirshfeld, Bruce Molsky, Mike Munford & many more! Bill returns to teach at the largest banjo camp event in the world! Featuring Danny Barnes, Riley Baugus, Janet Beazley, Greg Cahill, Gina Furtado, BB Bowness, Tony Trischka and many, many more! The is a terrific event in the western North Carolina mountains! A *great* musical experience! Bill will be teaching banjo classes with Tony Trischka this year. Stage sets and banjo workshop. 719-783-0883 for info. 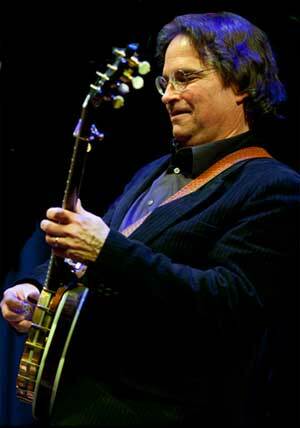 Bill returns to Texas' premiere bluegrass camp. With Mark O'Connor, Joe Craven, Joe Smart, Michael Witcher and many others. Bill teaches the bluegrass banjo class at this high altitude event. Bill joins the Hard Road Trio at this outstanding New Mexico event. Come join me! Join Bill on a Banjo / Photography Safari to South Africa with Award-Winning Wildlife Photographer Kevin Dooley! Join Bill and Kevin on an exciting African Safari where you will learn not only the banjo but wildlife photography - while getting very close up to an incredible array of wildlife. $4,999 single, $3,450 double occupancy. Email idubephotosafaris@yahoo.com or phone 505-345-6322 for info.